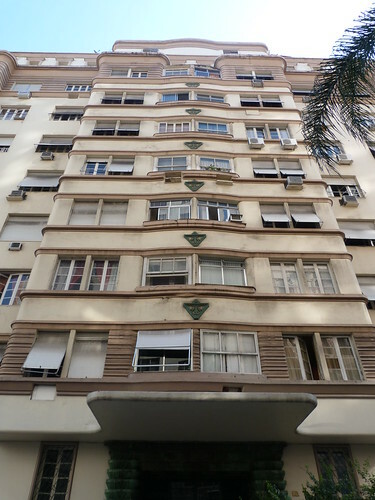 Copacabana has a lot of deco apartment buildings and this is one is quite special. 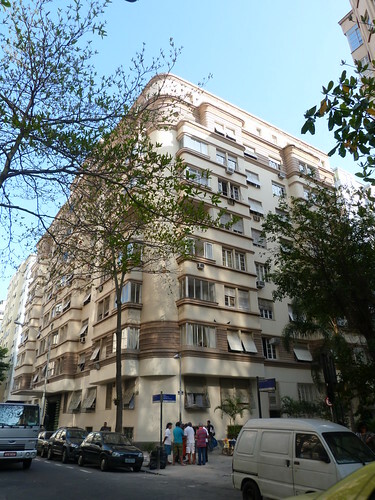 Edíficio Itaoca dates from 1928 and was designed by architects Anton Floderer and Robert Prentice. 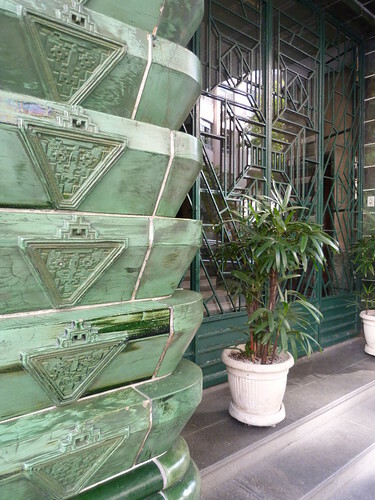 The decoration includes indigenous Brazilian motifs marking Itaoca as one of the best examples of Art Deco Carioca or Rio Art deco. 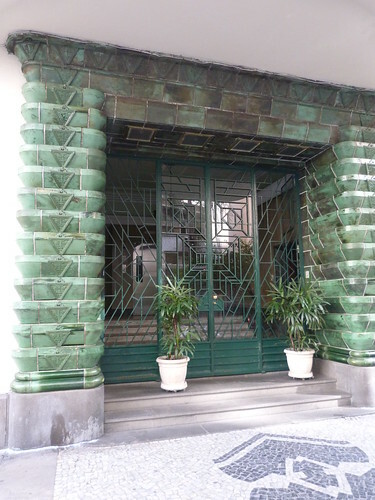 The main entrance is stunning, surrounded as it is with green tiles. 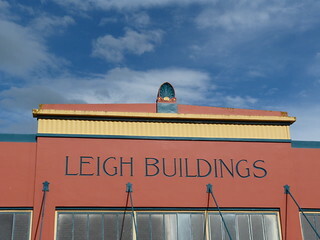 I'm not sure when I first noticed this view of the Manchester Unity building on the corner of Collins & Swanston Sts in Melbourne. 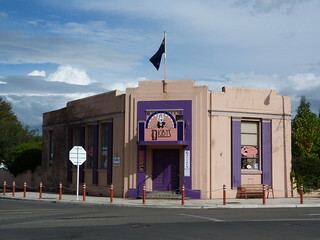 The photo is taken from the City Square, over the shoulders of Burke & Wills, memorialised by Charles Summer in 1865 following their 1860-61 ill-fated exploring expedition to cross Australia south to north from Melbourne to the Gulf of Carpentaria. 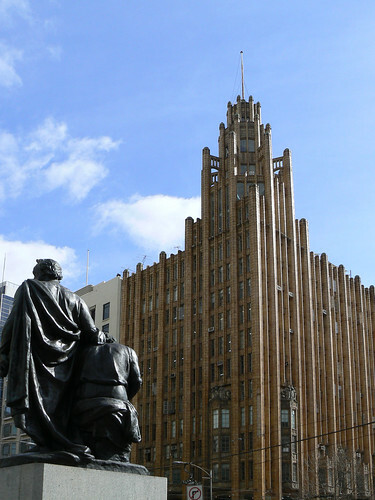 While the Manchester Unity building, designed by Marcus Barlow, has been here since 1932, the poor old explorers have been in a few locations around Melbourne in their 140-odd years before finding this home on the edge of the City Square in 1994. 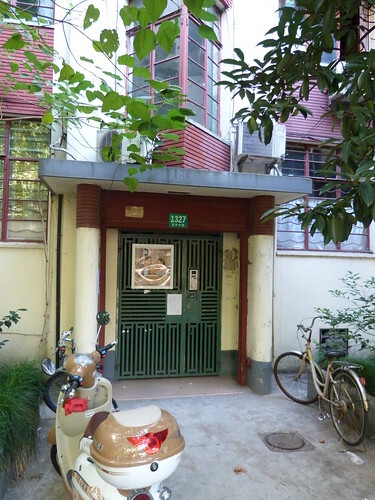 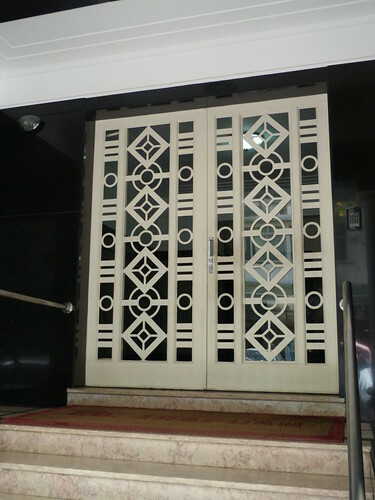 A three-storey block of flats in Shanghai with nice metalwork grills on the interior doors. 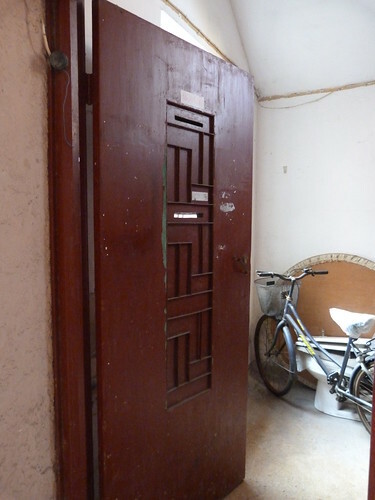 The problem with trees is, they grow! 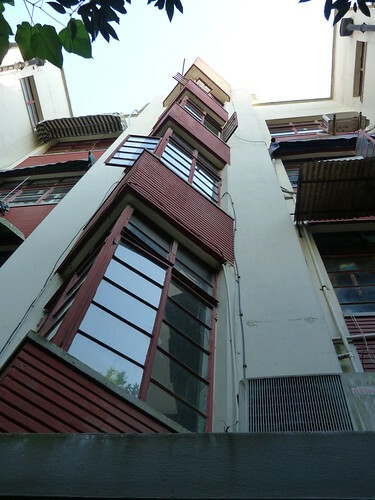 While that is the bane of Art Deco photographer they do make the streets of the French Concession lovely and cool in a somewhat hot and dusty Shanghai. 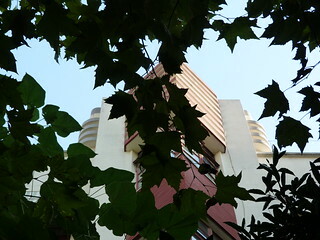 Glimpsed through the leaves of a Plane tree, this is Elizabeth Apartments from 1930. 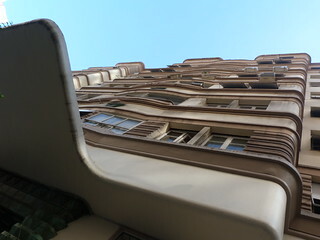 These triangle windows are great and remind me of similar windows on the houses in Silver End in Essex, England, including Wolverton and the former Dental and Medical Chambers in Hastings, New Zealand. 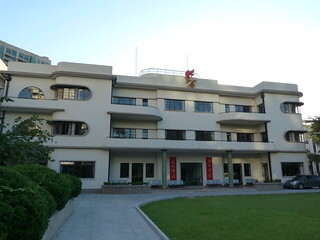 This wonderful building is the former Rong Family Villa in Shanghai. 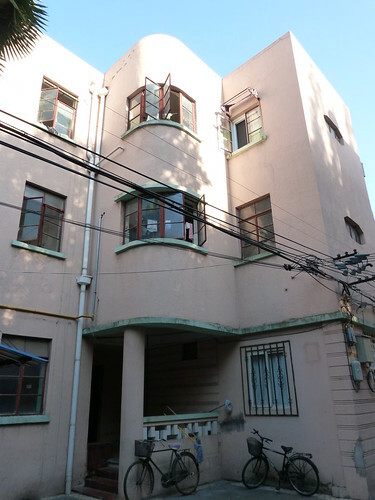 It has recently been repainted is definitely one of the best buildings I saw in Shanghai. 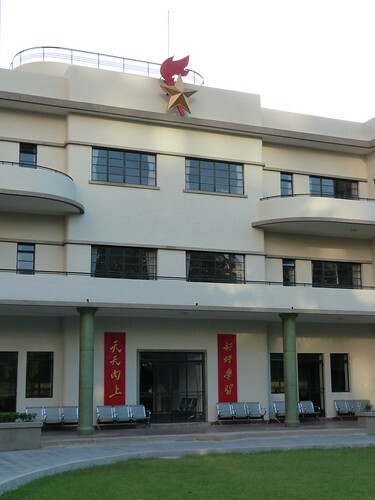 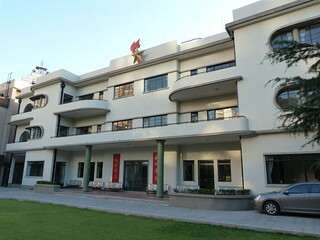 It is now used as a Children's Palace which is a space used by schoolchildren who are members of the Young Pioneers go to study extra subjects. 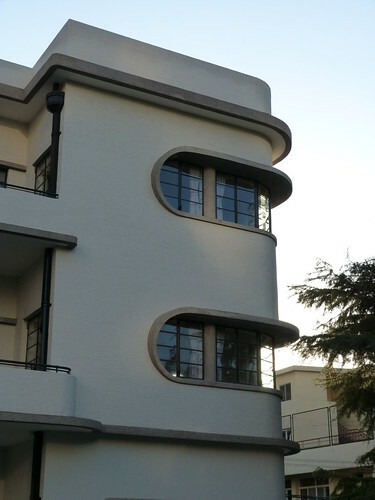 And, by the way, if you don't know about Shanghai Art Deco you should check out the Shanghai Art Deco Facebook page which is the official page for the World Congress on Art Deco to be held in Shanghai in 2015. 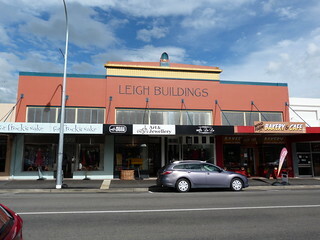 It's always good to see an Art Deco building repurposed and given a new life. 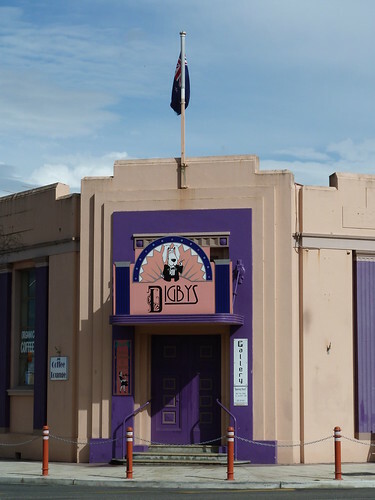 Not sure about the purple though. 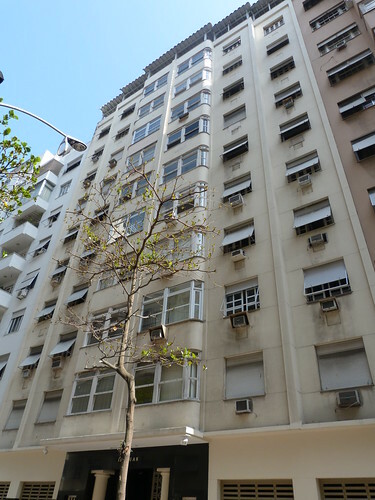 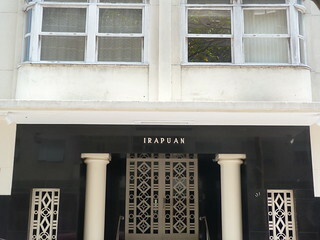 This is an apartment block in Rua Fernando Mendes, Copacabana called Irapuan.